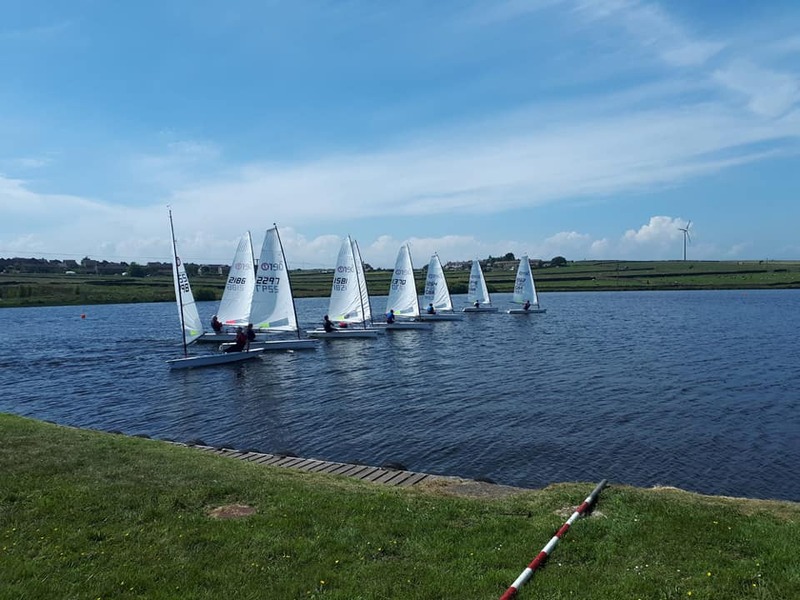 On a glorious sunny day with light and variable winds nine RS Aeros descended on Huddersfield with its compact but perfectly formed water for its first ever RS Aero meeting. After a warm welcome by the Commodore and stories of the Nationals over a few bacon butties it was out to the start line for the first race. A keen start saw Alan Beaton over the line and the rest of the fleet away. In the fickle morning breeze Andrew Molyneux broke away and led from start to finish with Dan Phillips and Nick Craven closing considerably towards the end. 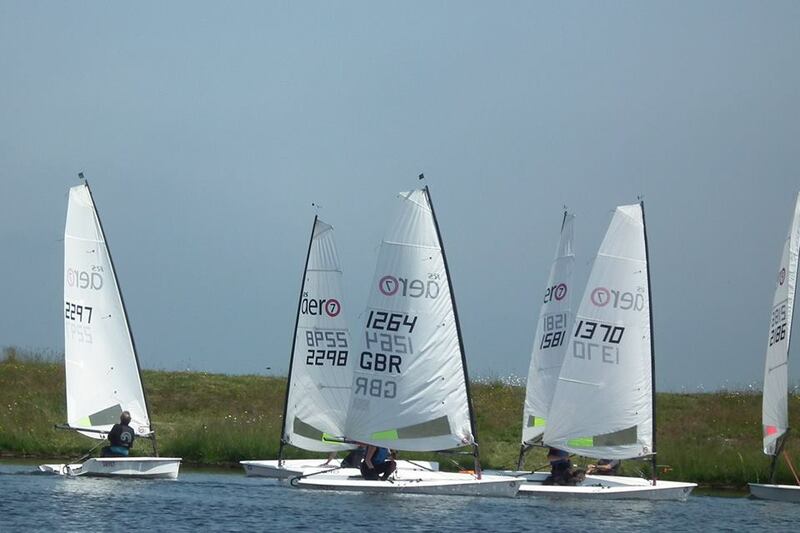 The wind dropped after the leading three finished leaving fears of the need for the time limit but a last minute infill of breeze brought the fleet home to a cheer. Race 2 started with a little more wind but still changeable in direction. The course was changed to keep the windward leg which saw the leading boats head off downwind in the wrong direction for a time. Dan Phillips had a great start but Steve Stewart quickly took over and led for a couple of laps. A header that nearly saw him swimming forewarned and helped Andrew Molyneux past to his second win. Steve hung on to second and Mike Saqui put in a great middle race to finish third. The race after lunch started with more breeze which caught out the eager starters with half the fleet over the line. A general recall was a welcome let-off for those who were over keen. Steve Stewart got the better of the second start and together with Alan Beaton in his 9 rig left the fleet with a commanding lead that no-one could get back to. Andrew Molyneux eventually led the rest of the close fought fleet just ahead of Dan Phillips to come in third. 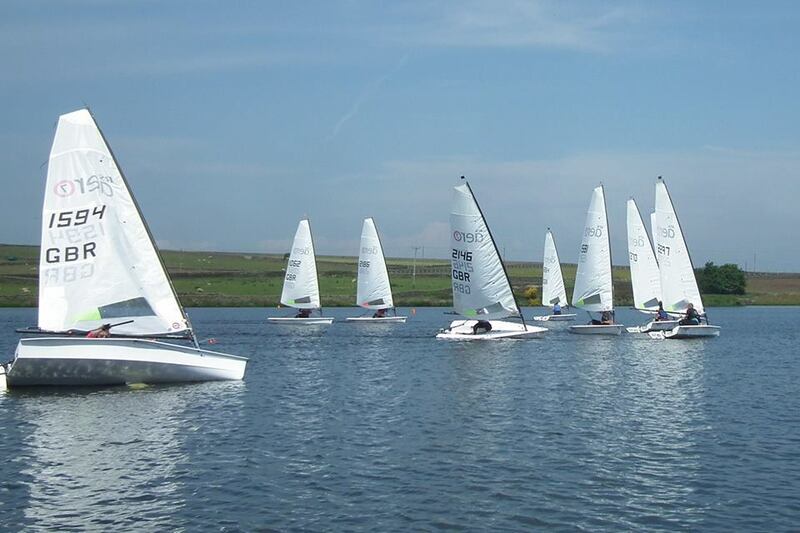 Race 4 saw the best wind of the day but still with some large holes and one or two big shifts. 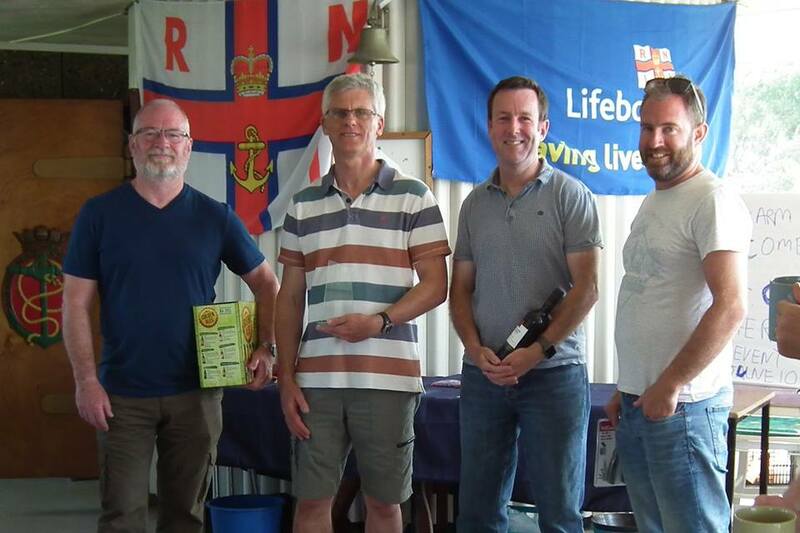 The whole fleet chopped and changed positions with Andrew Molyneux taking the honours and with it the event, closely followed by Steve Stewart and Alan Beaton with Allan Brooks putting in a notable performance in 4th. Overall everyone had a great day with the usual camaraderie expected of the Northern RS Aero fleet with some great food and hospitality from the hosts. To carry on the hotly contested topic widely discussed by the Northern fleet at the Nationals and dear to northern hearts, yes the pudding was free!